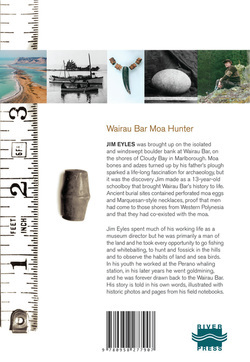 Jim Eyles was brought up on the isolated and windswept boulder bank at Wairau Bar, on the shores of Cloudy Bay in Marlborough. Moa bones and adzes turned up by his father’s plough sparked a life-long fascination for archaeology, but it was the discovery Jim made as a 13-year-old schoolboy that brought Wairau Bar’s history to life. Ancient burial sites contained perforated moa eggs and Marquesan-style necklaces, proof that men had come to these shores from Polynesia and that they had co-existed with the moa. Jim Eyles spent much of his working life as a museum director but he was primarily a man of the land and he took every opportunity to go fishing and whitebaiting, to hunt and fossick in the hills and to observe the habits of land and sea birds. 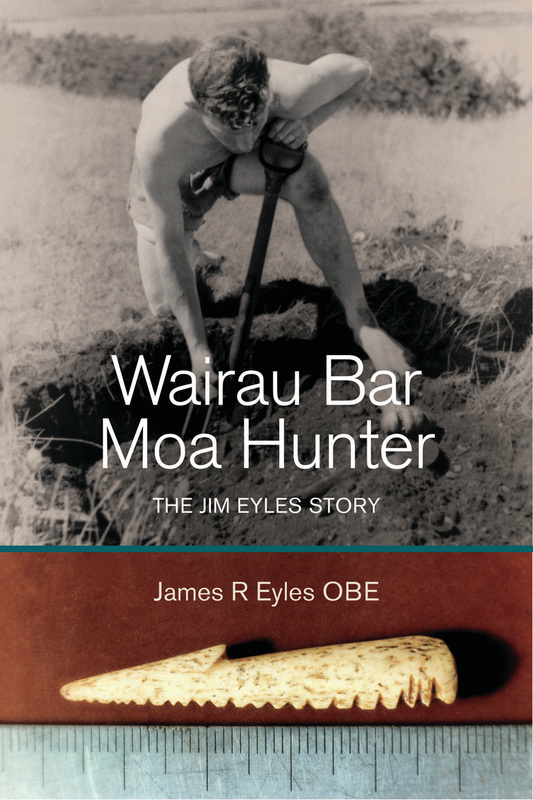 In his youth he worked at the Perano whaling station, in his later years he went gold-mining, and he was forever drawn back to the Wairau Bar. His story is told in his own words, illustrated with historic photos and pages from his field notebooks.